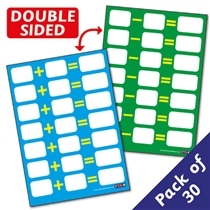 Sticker Charts are great for displaying pupil progress in class. Pupils can add their classroom reward stickers to their area of the Collector Chart and see how well they are doing in comparison to their peers. Our charts are perfect for using with our smaller sized reward stickers and Diddi Dots. We also have Sticker Collector Cards for individual pupils, take a look here.